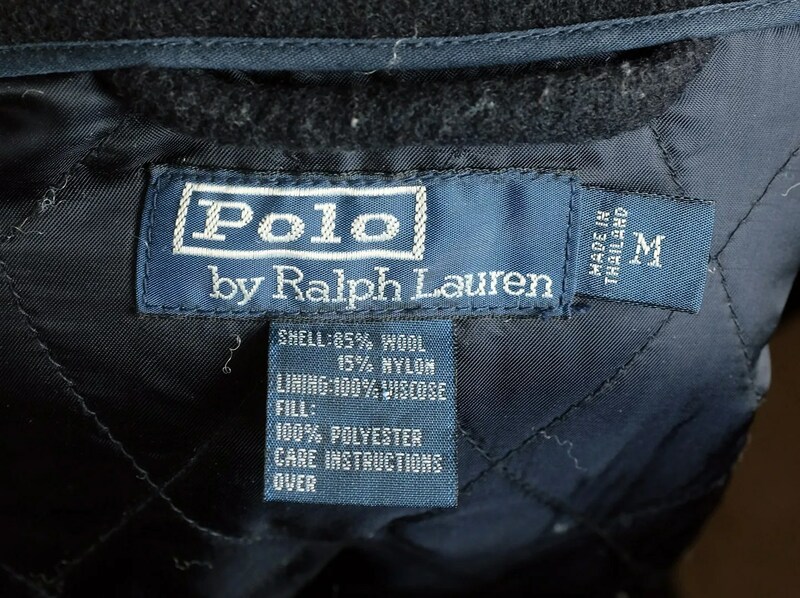 This jacket was made by Ralph Lauren under the Polo label. 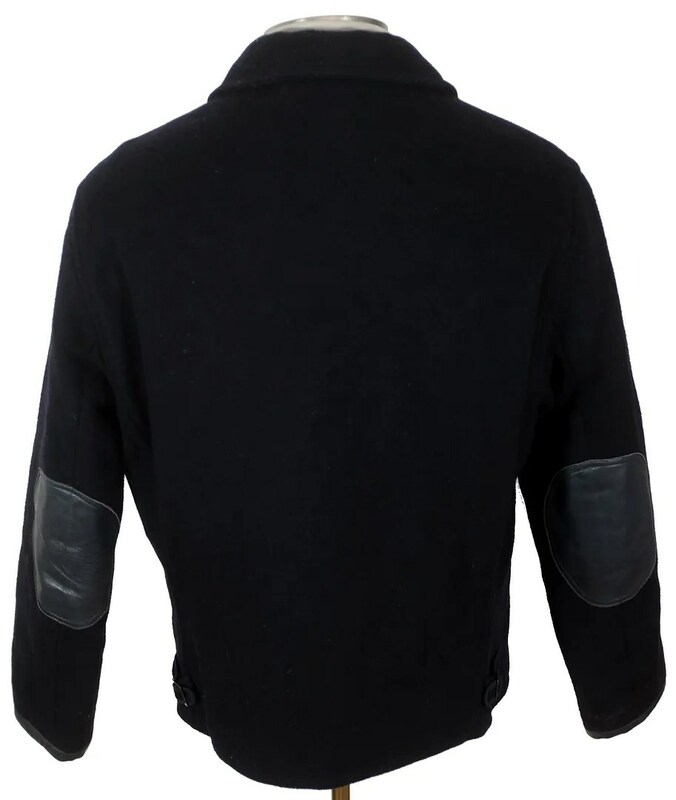 It is based on work jackets of the 1930s-1940s, drawing influence the most heavily from those made by King-O-Wear, with their distinctive leather elbow, cuff and pocket reinforcement and trimmed side adjuster belts. It has a zipper front, with a zipped breast pocket, and a quilted lining. 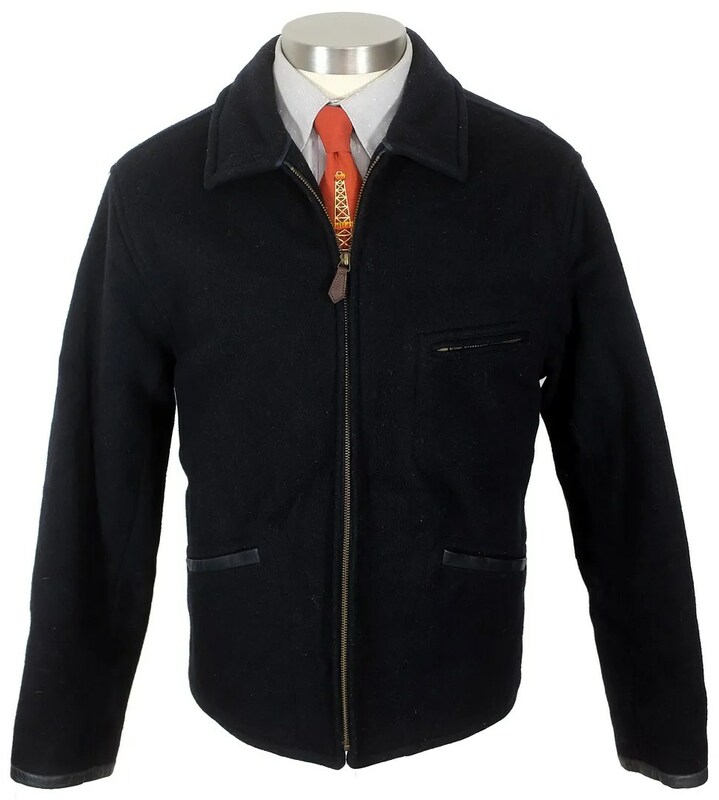 This entry was posted in Jackets and tagged King-O-Wear, Ralph Lauren, reproduction, vintage, work jacket, workwear by Spencer Stewart. Bookmark the permalink.